You wonder if it's a sign of age, that sense of powerlessness, sitting on the edge of the bed, your hands dangling between your knees. You used to believe you could take anyone on, fast and vicious, they wouldn't know what hit them. Not like everything came down to a fistfight, we aren't savages, but it showed when you did your PowerPoint presentation for the board, when you strutted down the street in your new heels. You were a mean and ruthless god. But now, your shoulder hurts when you lift your arm to point, and you know in your bones that when it came to a barfight, your teeth would be the ones decorating the floor. On Sunday, August 28, Portuguese Artists Colony will guide you to the hidden power in your obsolescence. 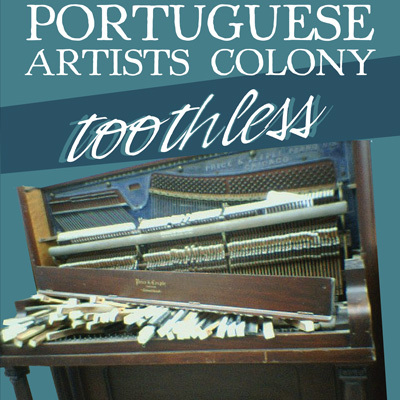 nic alea returns with nic's winning piece from last month's live writing - Portuguese Artists Colony's first ever tie, won in a sudden death round! Live music with Brooke D.